Many schools and pre-schools use and collect data. Are you stressed with collecting too much data? When data is collected and used effectively it can give you the full picture needed to tell your unique data story. Would you like to co-create data with families that supports family measurements of success? We at ReadyRosie believe that families can, and should, be active partners in program data stories. 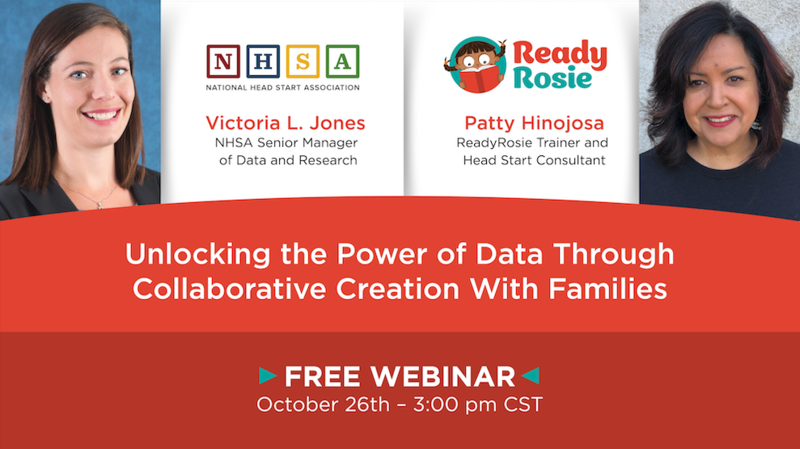 Learn from NHSA’s Senior Manager of Data and Research about the evolution of data in the Head Start Program and the importance of co-creating data with staff and families to support children and family outcomes. Hear about our exciting ReadyRosie data Share Platform and real-time actionable data, co-created with families, to effectively support your data-informed decision making and highlight family and program progress. Explore how you can use our ReadyRosie data Share Platform to educate your local community partners.